The CM stated purpose is to provide minimum administration with maximum governance. 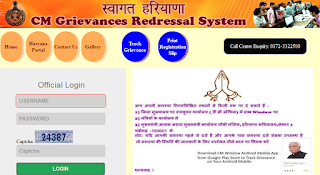 People facing delay in work by private and government offices in routine can file complaints online window system. After this the concerned officer will review your problem and take necessary action in one week on CM Window. 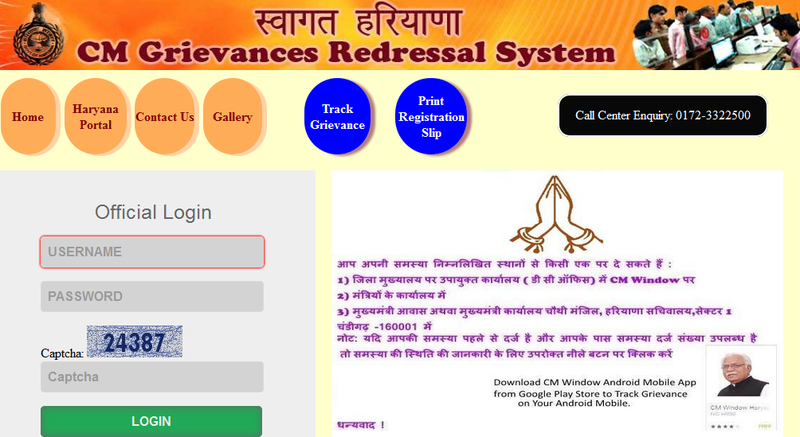 The applicant can view his grievance status by making login to cmharyanacell.nic.in. 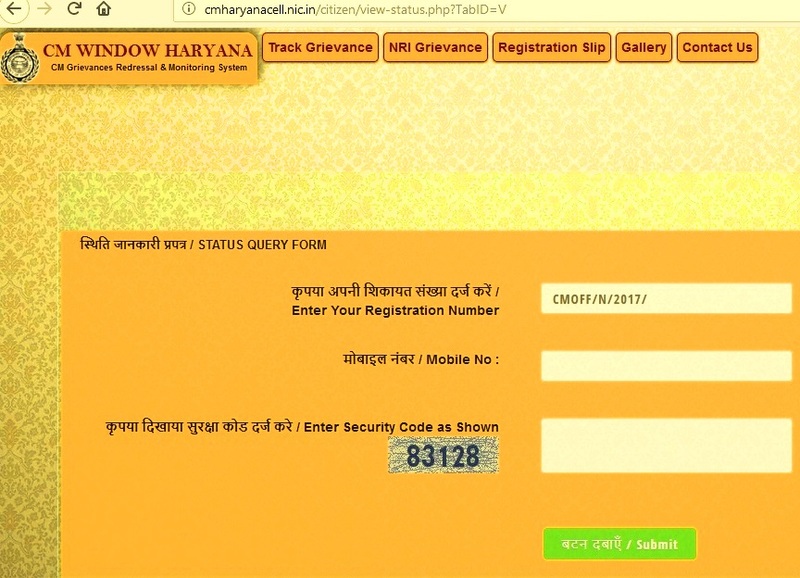 As per latest news till date 35000 complaints are registered at Haryana CM Window. 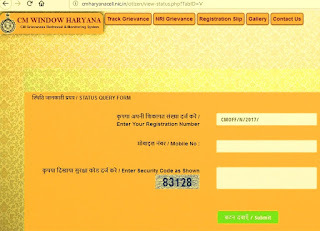 How to File Complaint on CM Window Haryana? 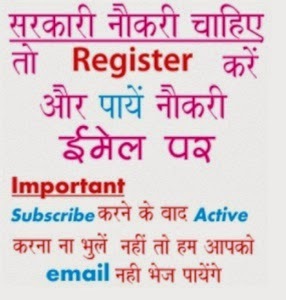 Follow some steps given here and you will able to file your online complaint at cm window……………….. I am Jagdish from H NO 01 VILLAGE KHARODA TEH SOHNA DISTT GURGAON HARYANA 122103. My Date of Birth 15/01/1952 और मेरी उम्र 64 से ज्यादा हो गयी हे ! में पेंशन ऑफिस में 4 साल से चक्कर लगा रहा हु लेकिन मेरी पेंशन कोई नहीं बांध रहा इसलिए मेरा आपसे अनुरोध हे की मेरी पेंशन बांधी जाये ! मेंने कम से कम 5 बार फाइल जमा कर ली और अब मेने CM विंडो हरियाणा पर भी 20/01/2016 को complain No CMOFF/N/2016/003803 डाली उस पर भी कोई करवाई नहीं हुई हे ! यह भी 1 महीने से से तो नीरा मालिक DSWO के पास In front of Mini Secretariat, Vikas Sadan, Gurgaon में यु ही पड़ी हे ! This is to inform you that I am kapil sahu from firozpur jhirka. employment office in jhirka is not working. I had been going to employment office at jhirka from last 1 month.My documents have not been registered there. Because there is no officer in that office only a temporary worker comes to office only once in a week. 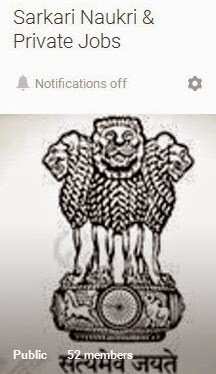 Even the peon does not know the name and mobile number of the worker. madam this is very serious problem not only me many youngsters are suffering due to this.So, please look forward into this situation.I shall be very thankful to you.